1. You can now specify a category or company name when adding/editing a contact. It is part of the Contact data entry form and it will be also available in the Excel Template. You can use it to classify friends, family, colleagues, companies, etc. 2. 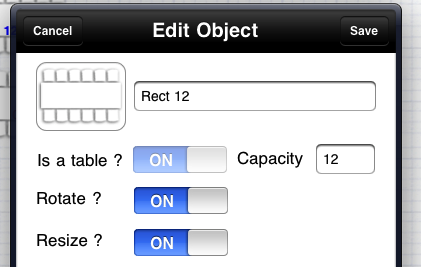 Now you will be able to add your own objects, you can define if it is table, its capacity, etc. 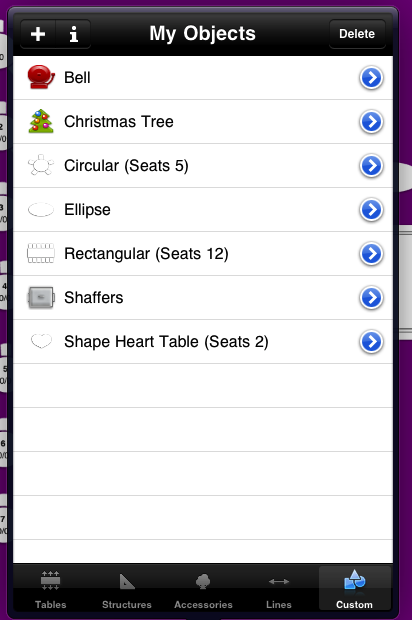 You can also share banquets with other users, myBanquet will automatically transfer these objects to the other iPad. You can also find some icons on our 'download' tab , we will try to create as many as we can!